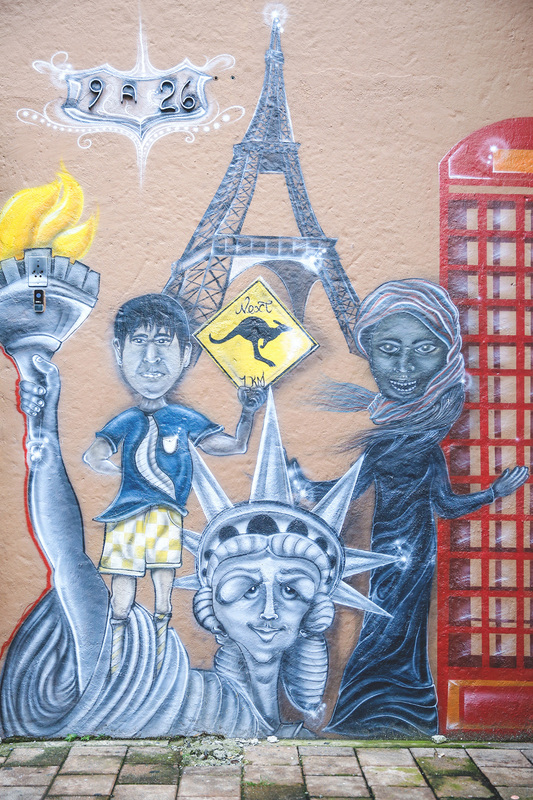 Finding street art and murals is like finding the heart and soul of a city. 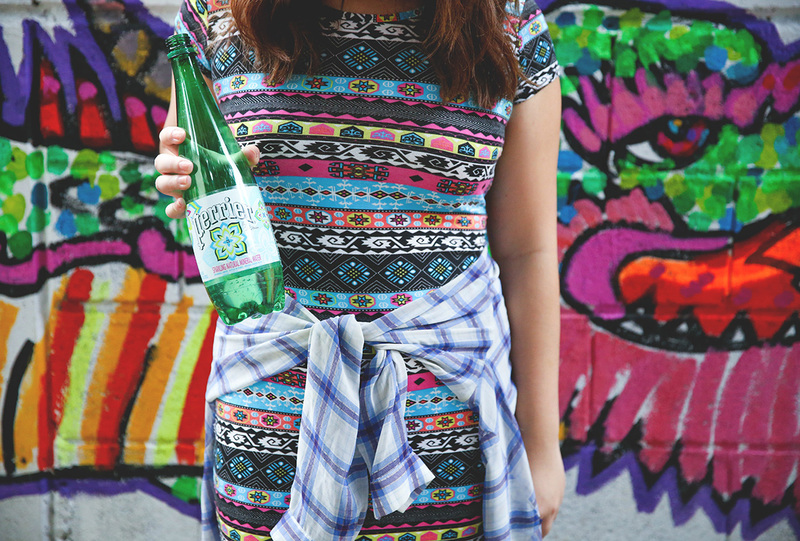 Today I’m teaming up with Perrier to showcase some style and street art. 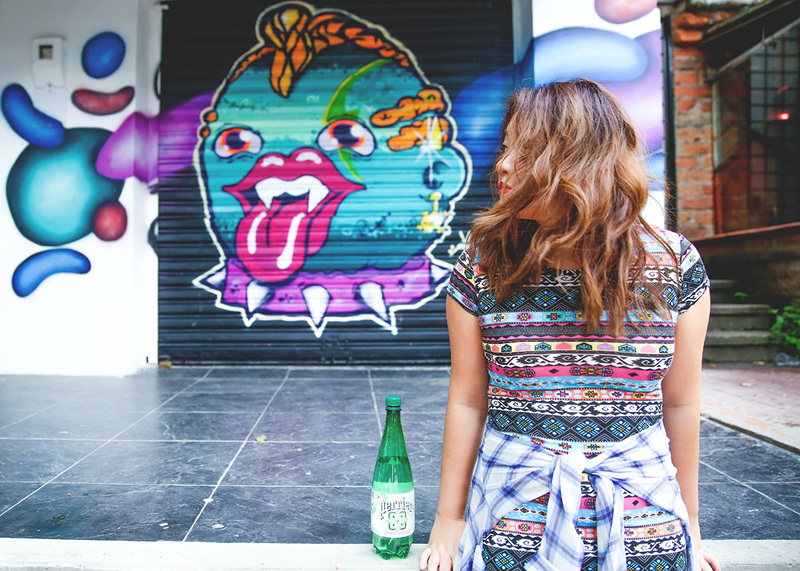 Perrier is currently putting a spotlight on global street art and their artists. 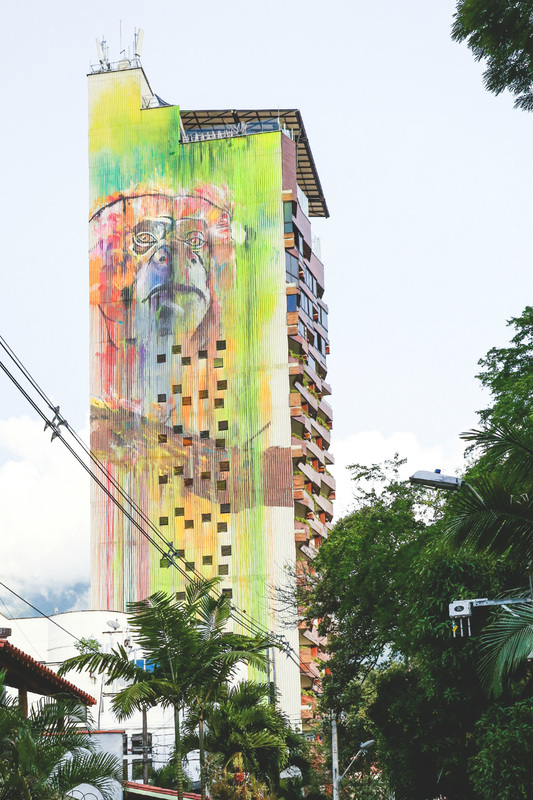 Inspired by their limited edition bottles and cans, with works by three world-renowned street artists — Jonone, Sasu, and Kobra, I took to the streets of Medellin, Colombia with my Sasu painted bottle. I really love that her take on the form is with atouch of femininity. 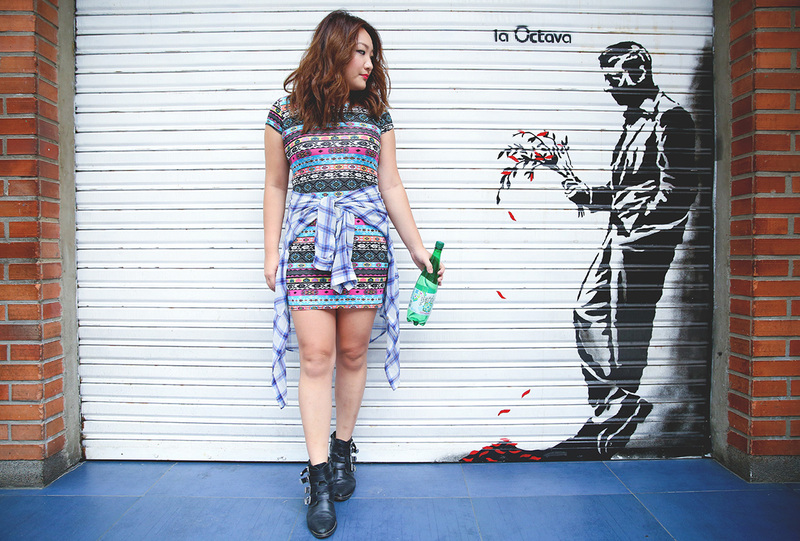 Above is Sasu’s piece in the label of Perrier’s classic green bottle, which I took with me while roaming the streets of Medellin for local artwork. Since, I am visiting over the long holiday weekend, I love that the temperature here is quite mild, making dressing for it was such a breeze. I put on my favorite walking boots, a dress and a shirt, in case it gets chilly later in the day. I really love the vibrancy of this city, and you can really see their creativity on the walls throughout the neighborhood. 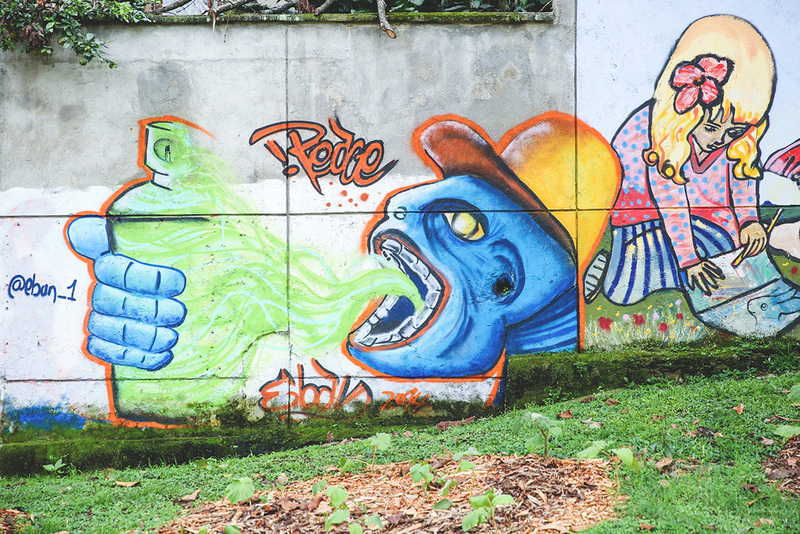 I took a stroll around the El Poblado area, near the apartment I was staying in, and stumbled upon so many pieces already! I love traveling and learning about local culture around the world. 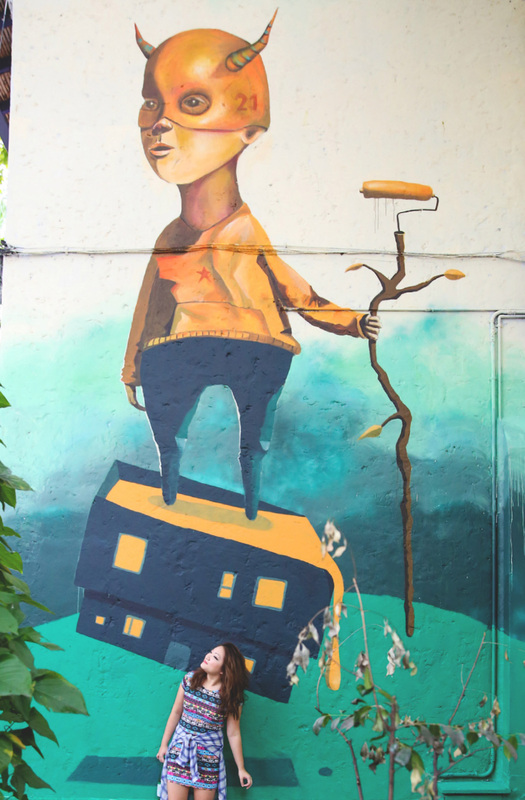 So, take a walk with me and discover some cool murals! I have to start with this travel-inspired one. It’s such a huge part of my life. No matter how many places I’ve been, every corner I turn, there’s inspiration big and small. 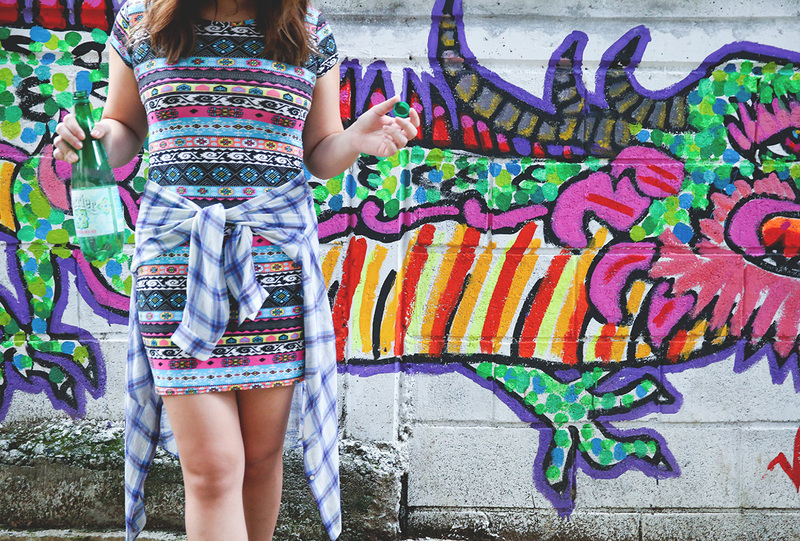 If you look, you can find creative expression in any blossoming city. 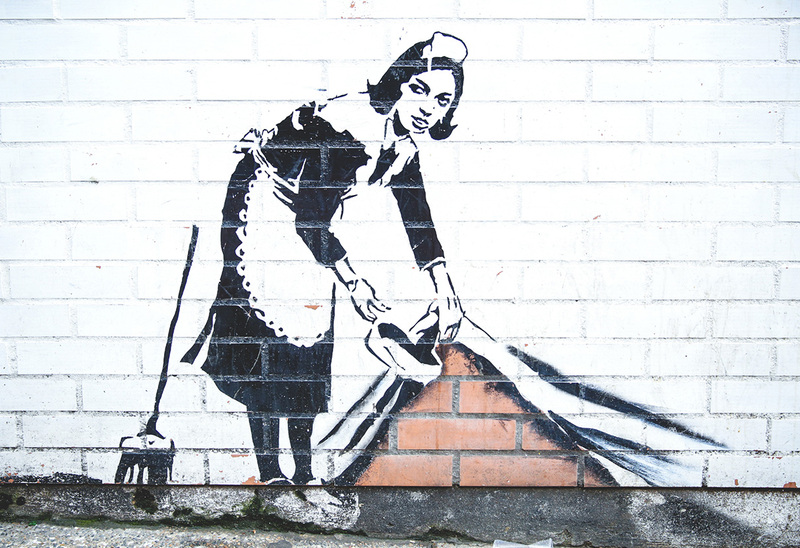 Similar to how we get dressed to showcase our current moods, street artists do it with spray cans and paint brushes. 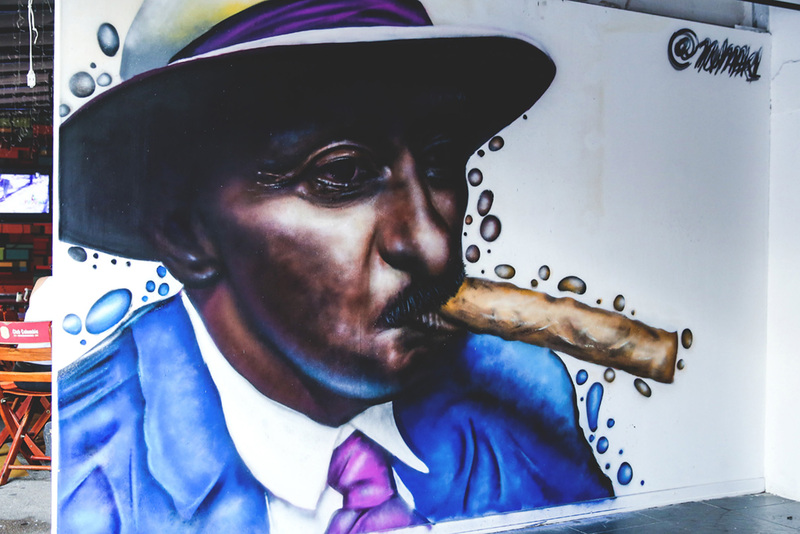 I must admit, the vivid colors of the murals in Medellin inspired my print on print ensembletoday. 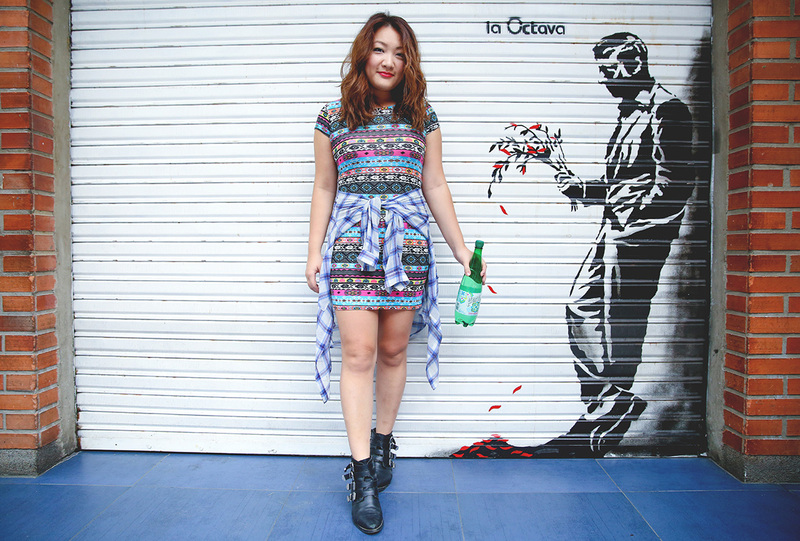 You stroll around different cities in the world and it really does influence your style!